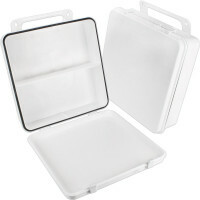 Plastic First Aid & Medical Boxes - Empty plastic kit cases and cabinets: Empty Polypropylene Cases & ABS first aid containers available for various ANSI units with and without Gasket. 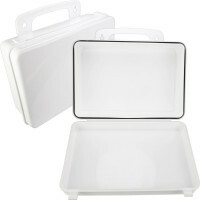 Empty First Aid Medical Kits & ANSI Kits for emergency first aid and other uses. 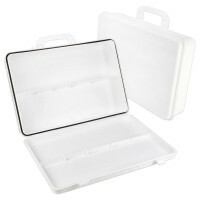 Empty plastic cases available with gaskets, handles, and are wall mountable. 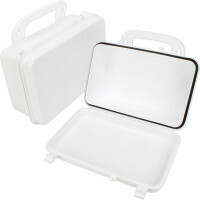 The gasketed kits are moisture and dust resistant to protect the contents, and we have some that are waterproof, too!